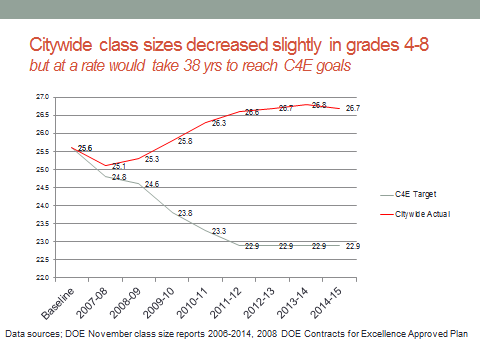 The good news is that for the first time since 2008, average class sizes decreased over the grade spans of K-3rd and 4th-8th grades. 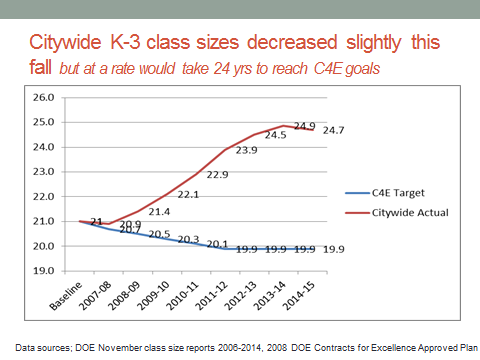 The bad news is that at this gradual rate of decline, it would take 24 years in grades K-3 and 38 years in 4th-8th grades to reach the Contracts for Excellence goals the city promised the state to achieve over five years. In addition, 30,444 Kindergarten students --43% -- are in classes of 25 or more ( 25 is the union contractual limit in that grade). 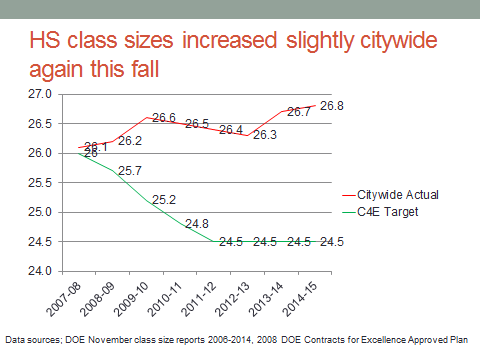 Average class sizes fell to 24.7 in grades K-3, 26.7 in grades 4th-8th, but increased slightly in high school this year to 26.8. 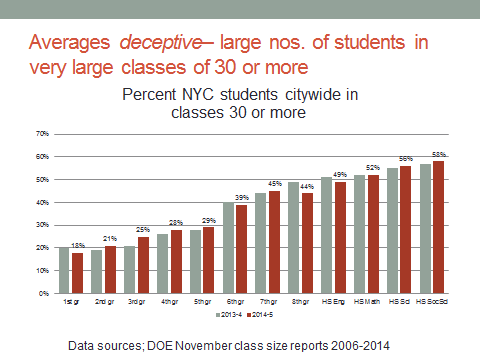 Yet these class size averages of 25- 27 are deceptive, as hundreds of thousands of students remain crammed into classes of 30 or more.